In Parkes (Fleetwood) ownership. Did not fish from the port. 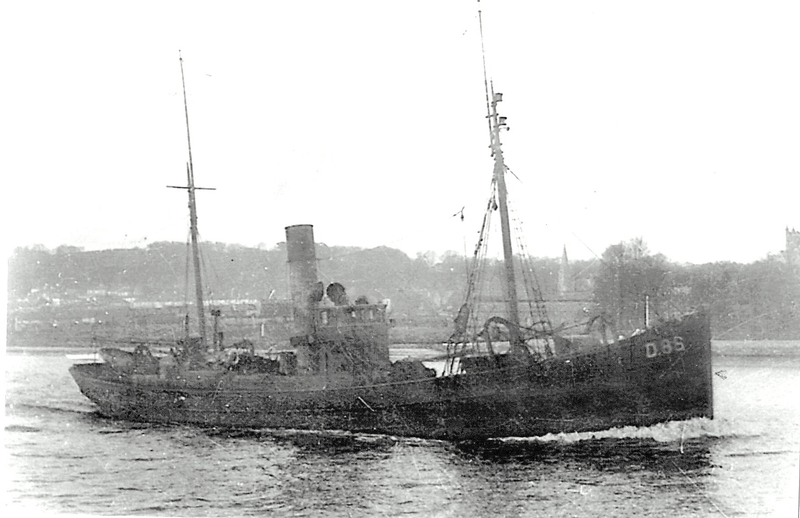 6.3.1920: Launched by Cochrane & Sons Ltd, Selby (Yd.No.740) for Louis Dero, Le Havre as URANUS. 7.9.1920: Completed. Registered at Le Havre (H1293). 6.1921: Sold to Sociètè Havraise de Pèche, Le Havre. 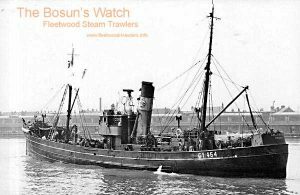 1929: Sold to Basil Parkes, Fleetwood. 1.1930: Sold to Victor Fournay, Boulogne. Le Havre registry closed. Registered at Boulogne as MARC ACHILLE (B1400). 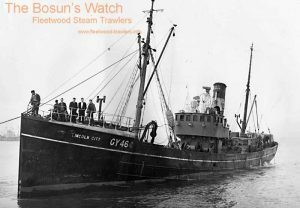 04.02.1939: Off the south west Norway coast, at about 1.00am stranded 2 miles SW of Utsire, pumps unable to cope with ingress of water. Norwegian fishing vessel NIBDDJUPEVAG responded to distress and all crew taken off. At about 5.30am vessel rolled over and foundered. Boulogne registry closed. 31/01/2013: Page published. 2 updates since then. This entry was posted in Lost Vessels, Non Fleetwood Vessels, Steam Trawlers and tagged Lost, Parkes on January 31, 2013 by Fred Smith. Note: Flamborough was not a Fleetwood vessel and. as such, only appears in the “Non Fleetwood” category. It forms part of a deeper look into the Hull Steam Fishing & Ice Co Ltd and Kelsall Bros. & Beeching Ltd and the effect that they had on the fishing industry at Fleetwood. 1917: Completed by Flensburger Schiffsbau-Gesellschaft, Flensburg (Yd.No.Not recorded) for Norddeutsche Hochseefischerei Act. Ges., Wesermünde-G as MURWIK. Registered at Wesrmünde-G. Requisitioned for war service in Kaiserliche Marine (Imperial German Navy). 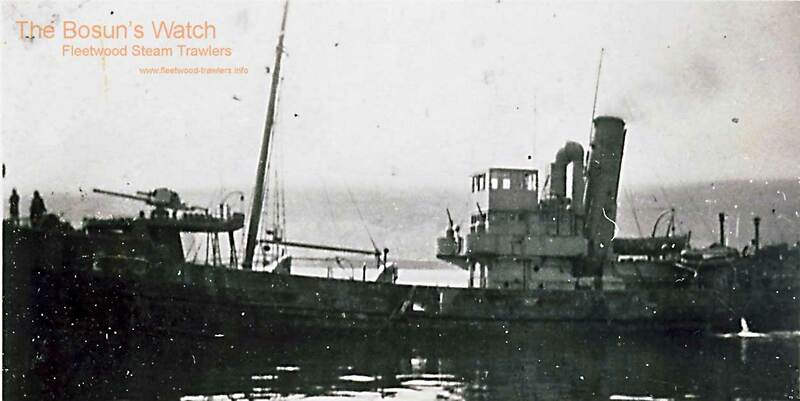 1921: Sold to Hull Steam Fishing & Ice Co Ltd (64/64), Hull. 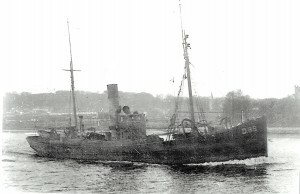 19.4.1921: Registered at Hull as FLAMBOROUGH (H261). O.N.144071. 22.4.1921: Joseph Vivian appointed manager. 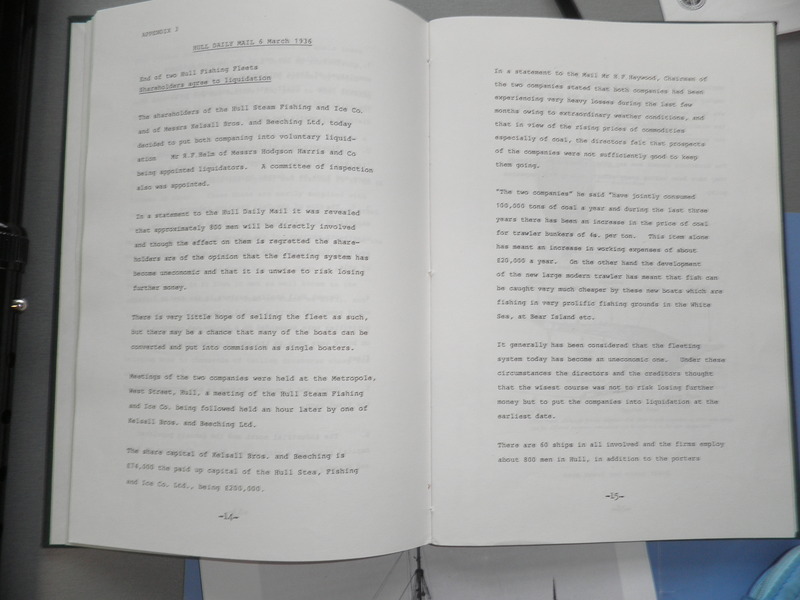 8.6.1921: Vessel mortgaged (64/64) to The London County Westminster & Parr’s Bank Ltd, London (A). 1.11.1932: Mortgage (A) transferred to Harold Frank Hayward, London; Maud Florence Katherina Rogers, Chelsea and Ernest Norton, London (Joint mortgagees). 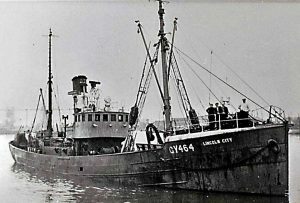 3.1936: Combined boxing and trawling fleet of Kelsall Bros. & Beeching Ltd and the Hull Steam Fishing & Ice Co Ltd consisting of 59 vessels laid up at Hull (declining catches, coal bill and increased maintenance costs had made the venture uneconomical). 6.3.1936: At Extraordinary General Meeting at Hull, Hull Steam Fishing & Ice Co Ltd placed in Creditors’ Voluntary Winding-up (Richard Field Helm of Messrs Hodgson Harris & Co, Hull appointed liquidators). 8.4.1936: Sold to A/S Shetland (F. N. Nordbö A/S), Haugesund. Sale effected by joint mortgagees under mortgage (A). 8.4.1936: Hull registry closed “Sold to Norwegians for trading”. Registered at Haugesund as SHETLAND. 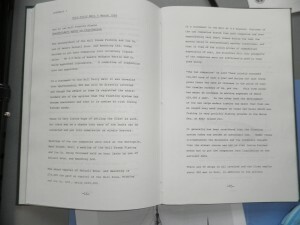 This entry was posted in Non Fleetwood Vessels and tagged No Fleetwood Connection on June 23, 2012 by Fred Smith.